Our VirtualAdministrator partners often ask us how to package and price their managed services offerings. Structuring your offering correctly can be vital to the success of your business. If you charge too much, you risk scaring customers away — charge too little, and you cheat yourself. Too many plan options confuse customers, while too few limits your market. A great method to use is a tiered offering. The Silver, Gold, and Platinum approach as we call it. Here's how to get started. The concept of this plan structure is simple. Silver is the budget offering, Gold is the middle of the road plan, and Platinum is the white glove program. This tactic is widely used in other Industries. For example; Automobile manufacturers make budget, mid-tier, and luxury model cars. This is the silver, gold, and platinum approach. The tiered program structure plays on human psychology. Most customers hate being perceived as cheapskates, but at the same time, they have a budget in mind. Some people want to buy the high end Lexus, while most are happy with the middle of the road Camry, and the rest buy a Corolla. The goal is that the majority of your clients will land in the middle tier, while still leaving options for those who don’t. Silver Plan: The Silver Plan is the one notch above a “break-fix” offering. It is the “monitoring only” plan. This offers your budget minded clients a chance to experience the benefits of your RMM platform, while staying on “pay as you go” plan for service. You simply charge the customer a flat fee for monitoring and management and work is charged by the hour. Gold Plan: The Gold Plan is the typical “all you can eat” managed services offering. This plan often includes unlimited remote support, often limited on-site support, help-desk, guaranteed next business day response times for onsite work, regular business hour availability, monitoring and patch management, etc. Platinum Plan: The platinum plan is reserved for your VIP customers and should be priced and packaged as such. This plan typically has added bonuses such as guaranteed thirty minute response times for remote support, same business day response for onsite work, seven-day-a-week availability, monthly or quarterly customer reviews, etc. Some MSPs even add 24-hour support. Setting prices for your plans can daunting, but don’t get too hung up on it. Remember you can always change it! 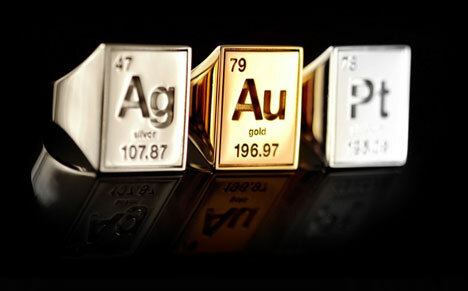 For Silver workstations, we have seen prices range from $10-$40, Gold from $50-$90, and Platinum from $80-$120. Servers are higher, from $175-$350. I suggest doing a market survey of your local competitors and find out what they are charging, and adjust accordingly. Remember, your offering is only one component of your MSP business. It must be packaged with a good management/monitoring tool and a solid business and marketing plan. But, the most important ingredient is your belief in the concept of managed services. If you don’t believe, you won’t get your customers to believe either. Paul Barnett is marketing director for VirtualAdministrator, which offers hosted solutions for managed service providers. Guest blog entries such as this one are contributed on a monthly basis as part of MSPmentor.net’s 2009 Platinum sponsorship. Paul I can’t recall reading or seeing anybody else so openly publish their pricing and tiered approach in a public forum like this. I’ve copied and pasted your article into email for company wide discussion. Ditto. Some readers may not agree with your pricing suggestions but you’ve given plenty of people food for thought, Paul. Nothing is written in stone here. These are the general price ranges that we see others charging in the industry. It can vary from region to region. In metropolitan areas it tends to be higher and in smaller towns it will be lower. As I suggested in my post, do a market survey of your area and find out what your competition is charging and offering. This is vital. Just don’t be obsessive about it. I would suggest doing a thorough market survey once a year and leave it at that. This will help you set your strategy and pricing. I sent you my email contact so we can keep in touch. I’d like to ask you some other questions about a doubt I have. We all have to remember that Managed Services is a “new” concept in todays industries. I believe it’s the “new” wave and we can see it happening now. Because is so new, it’s going to take some time to establish those “true” prices. Remember when car insurance came about? Nobody knew exactly how to price car insurance for 17 year old vs. a 49 year old. But because those insurance companies “plunged” right into, 50 years later, there’s no guess work. They’ve built over time “statistics” that allow them to price it right. We as MSP’s are going to do the same it just takes time. One more thing, I would love to share my pricing scheme to anyone that want’s to see it. Let’s share ideas. I’m not sure myself if I have it priced right. I’ve created a in depth template that I’ve copywrited and am willing to share it with anyone. thanx! I would like to know is there any benchmark on devises to FTE ratio, i.e. the no. of devises that can be actively monitored amp; managed by a single technician? Anirban@7: We’ll try to publish that technician-to-device ratio in our next MSPmentor 100 survey (Oct-Dec 2010). In the meantime, check in with RMM (remote monitoring and management) software providers. They have plenty of stats on that. I’d love to see your pricing scheme. Hi James – I am in the process of putting together a pricing scheme for specialized services. Perhaps we can share ideas. I would also love to see you pricing scheme. Cfeick… I have a pricing scheme for you. I’ve got some specialized services for you too. Meh … shut’er down!